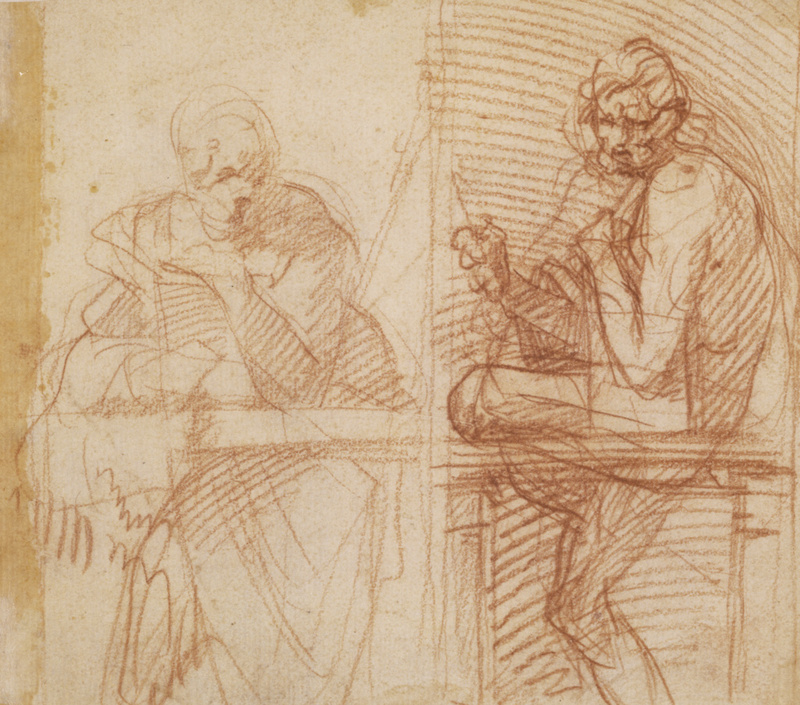 Andrea del Sarto worked out the problem of placing full-length figures behind a balustrade, or railing on both sides of this sheet. Each side contains two separate compartments with figures in varied poses. 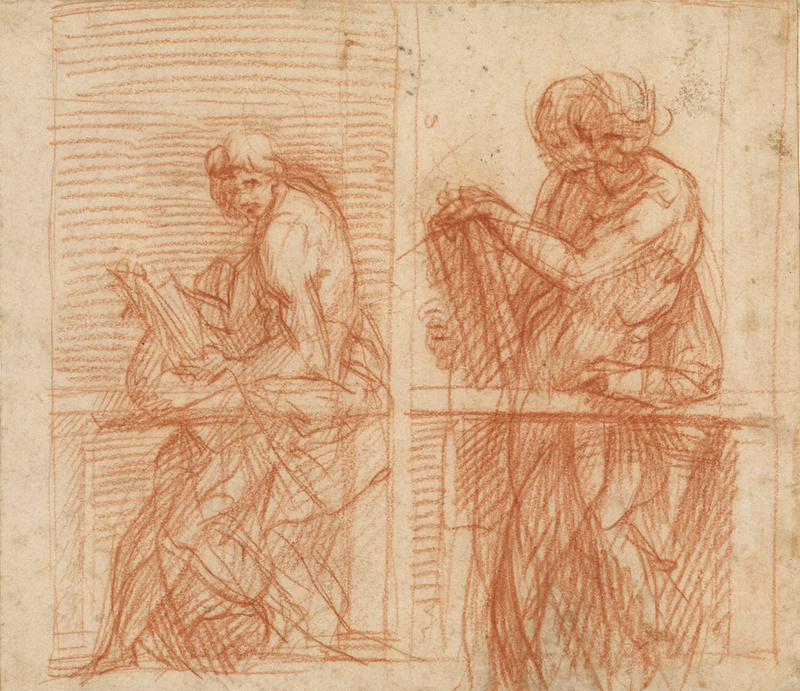 With quick, sure strokes of his red chalk, del Sarto experimented with a variety of complex arrangements for each figure's body, sometimes including drapery and always crossing limbs and turning heads. He overlaid numerous ideas for each figure, quickly trying one thought, then modifying it for the next. Beyond giving the figures balance, he aimed to make them look natural and relaxed. With the railing both standing in front of and bisecting the figures, the artist also had to work out how to maintain unity between the upper and lower halves of each figure. The many artistic solutions evident in this study give a glimpse of his fertile and creative mind. Scholars are uncertain about the purpose of these studies, but they may have been initial concepts for the Evangelists in the border of the Paramento Passerini, an embroidered altar frontal now in the Museum Diocesano, Cortona. Katrin Bellinger Kunsthandel, sold to the J. Paul Getty Museum, 1992.